A striking and distinctive bathroom or kitchen backsplash can be yours with our Manhattan and Cinnamon Glass Blend Duo design. 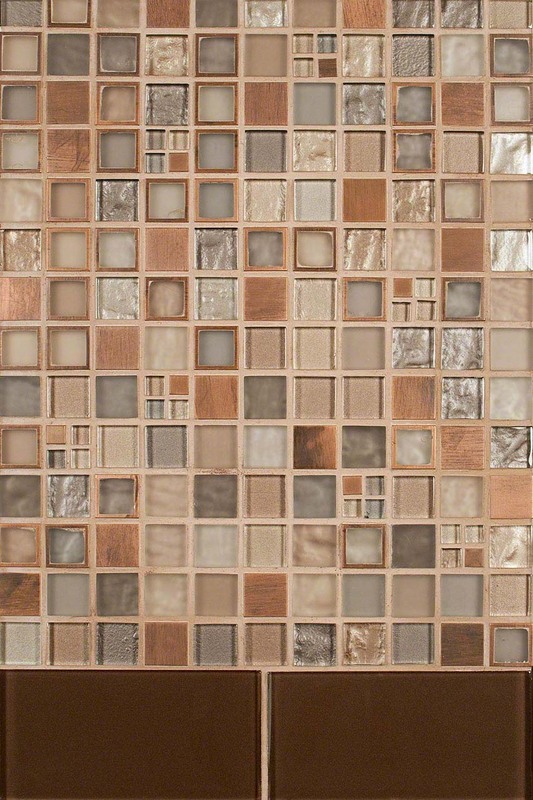 In this contemporary backsplash design, we’ve married the stunning Manhattan Glass-Metal Blend mosaic tile together with our beautiful 3x6 Cinnamon Glass Subway tile. This design is well suited for contemporary and eclectic designs where you want the backsplash to be the star of the show.